WESTFIELD, NJ, July 10, 2017 – The Council of Hotel and Restaurant Trainers (CHART) (www.chart.org) today announced that Jeff Warne, President and CEO of Perkins & Marie Callender’s LLC (PMC), is the recipient of its 2017 Commitment to People Award. Warne will be honored at the Commitment to People Awards Gala on Monday evening, July 17, during CHART’s 94th semi-annual Hospitality Training Conference to be held at the Rancho Bernardo Inn, San Diego, CA. The Perkins and Marie Callender’s brands both have a rich and strong heritage, and Jeff actively challenges his team to embrace this legacy while continually exploring and finding ways to keep the concepts relevant and thriving. In the award application, Jeff’s team offered many examples of his care for people, including the organization’s support of Give Kids the World and the launch of the company’s corporate university where employees learn about the unique aspects of the organization’s culture and gain the knowledge and tools to help them succeed. Other examples of Jeff’s commitment to Perkins & Marie Callender’s since joining the company in 2012 include the “culture card” initiative and the creation of a new internal position, Vice President of Culture and Development. 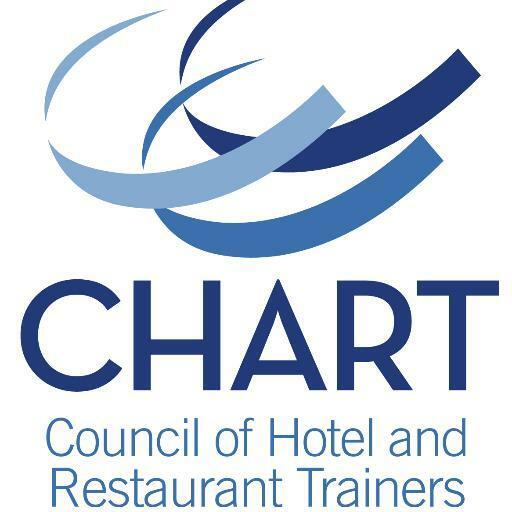 Other awards to be presented during CHART’s 94th Hospitality Training Conference include the Spirit of CHART award, as well as the CHART/NRAEF Scholarship and CHART/AHLEF Scholarship awards. For more information on the CHART conference and/or award presentation, please call 312.405.2634, email lisa@chart.org or visit www.chart.org. PERKINS & MARIE CALLENDER’S: Founded in 1958, Perkins system consists of 394 restaurants in 32 states which includes 127 company-owned and operated restaurants and 267 franchised units. The Company also has a baked goods manufacturing division operating under the name Foxtail Foods which manufactures pies, pancake mixes, cookie dough, and muffin batter for in-store bakeries and third-party customers. The combination of the Perkins Restaurant & Bakery chain with Marie Callender’s occurred in 2006. Marie Callender’s consists of 36 company and 27 franchised restaurants in 4 states; it is famous for its fresh-baked pies and has a national presence through supermarket frozen entrée lines offered by ConAgra. More information can be found at http://www.perkinsrestaurants.com and http://www.mariecallenders.com.